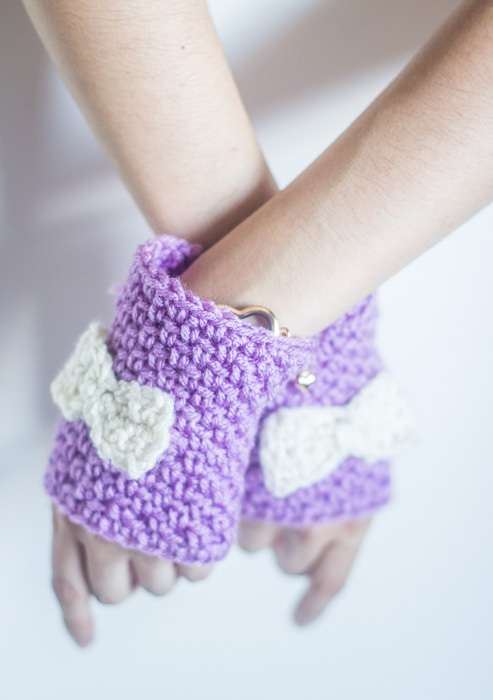 Fingerless gloves with bow variation. A while ago I created a pattern for these cute Crocheted Fingerless Gloves With Bow, I made them in red and white, to go with a pair of Boot Cuffs. 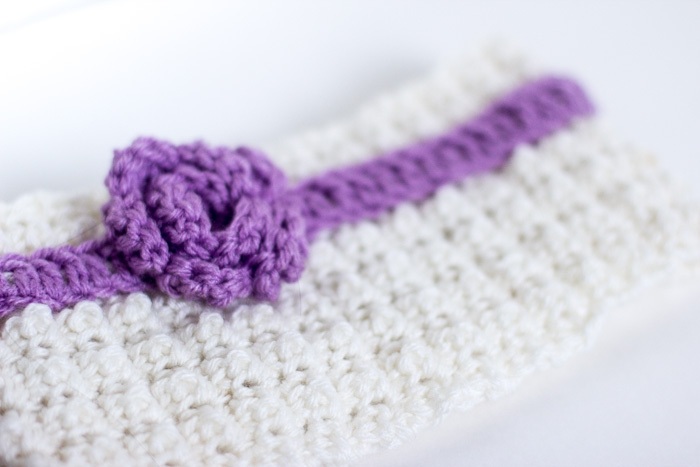 I just loved them so much, I had to make another pair (also, because the other ones, went for my sister), this time with a color variation, and again trying to match, I made them to go with these Crocheted earwarmers. Tell me what you think… Have you used any of my patterns? Experimented with other colors and variations?